The Madrid City Pass is a discount card which gets you in free or at a reduced rate to a number of attractions in Madrid as well as providing free transportation from the airport and access to a hop-on-hop-off bus tour around the city. You can purchase a Madrid City Pass that covers 24 hours (One-Day Pass), 48 hours (Two-Day Pass), 72 hours (Three-Day Pass), and 120 hours (Five-Day Pass). Over 50 restaurants, 24 shops, 17 bars and nightclubs, seven theaters, six tours, and four car service companies also provide discounts to Madrid City Pass holders. The cost of the pass ranges from 47 euros to 77 euros depending on the number of hours/days the card is good for. 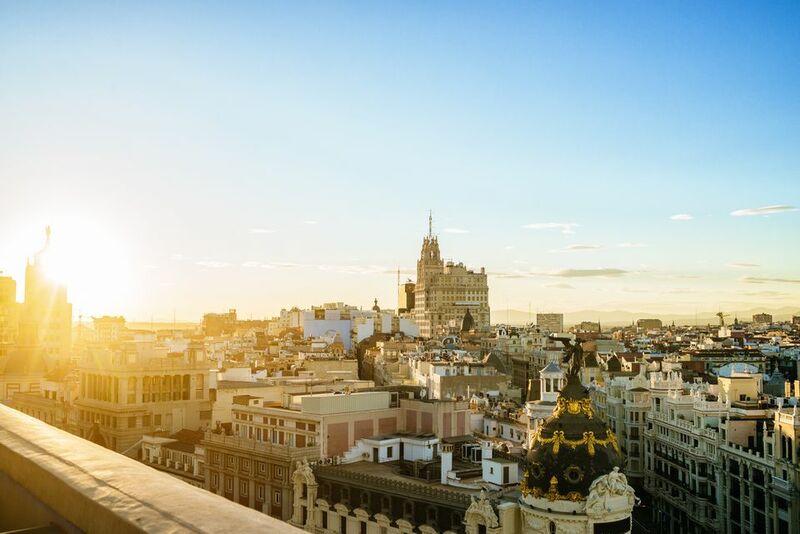 In addition to discounted tickets to local attractions, the Madrid City Pass also grants you priority access to museums and tours, meaning you can save some time on your trip to Spain by skipping the line at some of the city's most popular destinations. When it comes to visiting the capital of Spain, exploring the history and culture of the city is an invaluable part of any trip to the city. If you want to get the most out of your trip while not breaking the bank, the Madrid City Pass may be a great deal for you, especially considering what attractions you'll be able to access. Major museums with free entry and priority access include the Prado National Museum, Reina Sofia National Museum and Art Centre, the Thyssen-Bornemisza Museum, the Royal Palace of Madrid, the Royal Monastery of San Lorenzo de Escorial, and the Benedictine Abbey of the Sacred Cross in the Valley of the Fallen. You can also get discounts on guided tours offered by Descubre Madrid (Discover Madrid) as well as priority access to a tour of Bernabéu Stadium, the Atlético de Madrid, and the famous central bullring. Free leisure activities include priority access to the Faunia Nature Park, Madrid Amusement Park, and Madrid Cable Car Zoo Aquarium of Madrid. You're going to have to work hard to get your money's worth out of the Madrid City Pass, though it's worth it if you plan to explore a lot of the city, especially the many museums and fine dining options Madrid has to offer. Madrid's top two museums, the Museo del Prado and the Reina Sofia, cost 15 and 10 euro respectively for admission, but both museums are open for free most days for a couple of hours. Ultimately, you can experience both of these for free but might waste a lot of time navigating the crowd when the museums are open to everyone. If there are two museums per day that you want to see, you will save more in admission than the price of the card. Normal price tickets to the Santiago Bernabeu stadium tour, Faunia Nature Park, and the Madrid Amusement Park all cost more than one day of your five-day pass. In fact, Faunia and the Amusement Park, at about 25 euros each, both cost nearly two days' worth of your pass. The priority access you get at some of the biggest museums could be worth at least half an hour of your time. The restaurants on the Madrid Card are generally high-end restaurants, so expect to pay a lot at these establishments, even with your discount.